This room has a queen and a single bed and overlooks our gardens. This room is located on the second floor of the Inn. All of our rooms have private ensuite baths. Our garden view suite features a queen bed in one of the rooms and a single in the other. 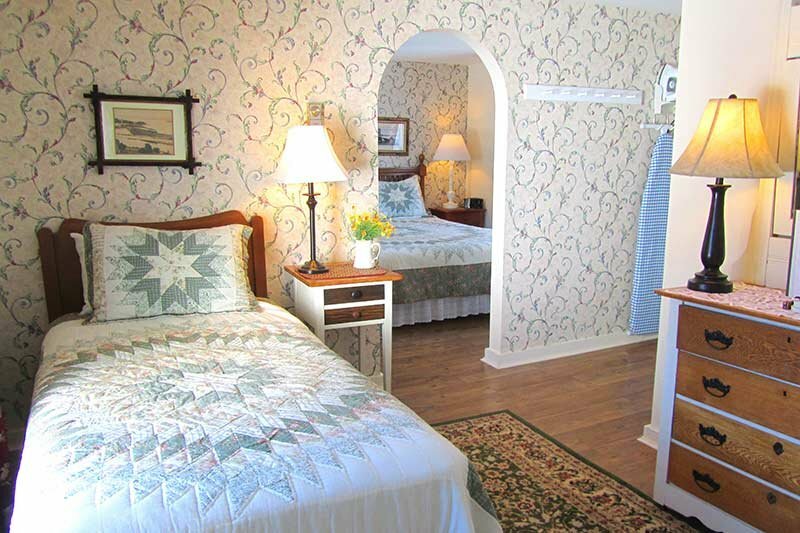 The rooms are connected by an archway and the rooms have a beautiful view of our flower gardens. 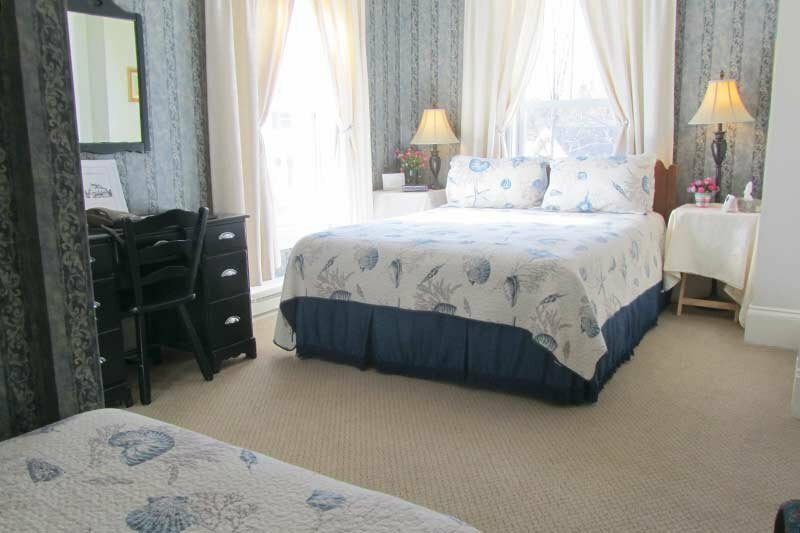 This suite is located on the second floor of the Inn. All of our rooms have private ensuite baths. This suite is located on the second floor of the Inn. All of our rooms have private ensuite baths.